Save The Children Foundation -Youth Off The Streets -The Heart Foundation , we support community events like the Coscare Croydon (Out of School Care for Croydon Public School ) and Croydon Twilight Christmas Market 2015 Croydon Public School P&C. For 2016 Ray White Croydon plans to launch the Sydney Community Charity appeal,whereby $1000 will be donated for each property sold to a non-for profit charity organisations in Sydney to help the needy and disadvantage in our community. When you sell your property with Ray White Croydon you can nominate a charity of your choice to receive $1000, just mention the charity appeal and the name of your nominated charity. For more information please contact Stephen Shamoes on 0450 519 116 or speak to your friendly staff on 02 9747 2222 at Ray White Croydon. When I heard you had made the generous decision to join our I Save the Children program, I wanted to thank you personally. As CEO of Save the Children, I can’t tell you how much your generosity means to me and the children we’re helping together. I can’t tell you what a world of difference your donations will make to children in very difficult situations. You’re making a difference to their education, safety, healthcare and quality of life – and their futures. All these things are the absolute right of every child. As a father myself, one of the hardest things about my role is seeing the anguish of parents who can’t help their children with the most basic needs – like food and medicine. Frankly, it’s heartbreaking. But when I see people like you stepping in, and stepping up, I know it is possible to make a ground-breaking change in the way the world sees and treats children. You have joined a global organisation that’s doing everything in its power to defend, protect and speak up for children – whenever they are in danger, whenever their basic rights are forgotten, whatever difficult and dangerous parts of Australia or the world they’re in. I Save the Children supporters like you are the heart of our organisation. Thank you again Ray White Croydon Team. I look forward to telling you more about the real impact of your support. © Ray White Croydon Nsw. 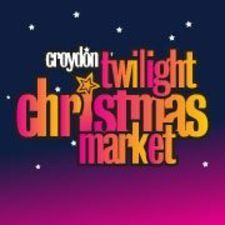 Based in Croydon.